Sydney Shop Girl: Gifting and Coffee Bar Scrubs. I've got my eye on the calendar and it's only 10 more days until I can put up the Christmas tree but in the meantime, I've made inroads into my Christmas gifting. School finishes for us on December 6 and most of that last week is half days. Master SSG was so eager to give his favourite after school care teachers their gift that he brought it into school today. I reckon they're going to need all the coffee, tea and chocolate in the world as they corral the boys through these last few weeks of term. It's been a very busy year and I think everyone (especially the teachers) deserve a few days of Christmas craft in lieu of lessons at this point. As excited as I am about Christmas (we *might* be having even more family visiting us this year), I've remained very realistic about my level of skill with craft. Which is why this embellished Moconna jar will be as creative as I get this year. I have booked Master SSG into school holiday care, though, and there's a day of gingerbread house making as part of the program. Can't wait to see his creation. It's been a joint effort for Miss J's Christmas gift. 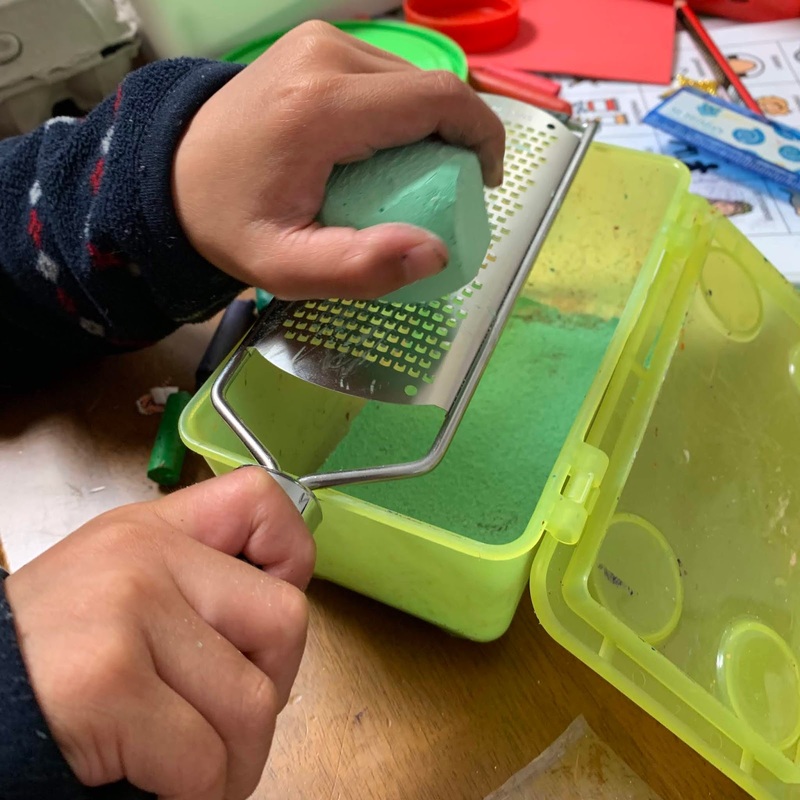 Master SSG has made both a jar of sand (grated crayons and chalk) and a bracelet featuring her favourite colours. We also added tea, a tin of chocolates featuring images of London (one of her favourite cities) and something to bring on her next trip. But Christmas isn't the only big celebration at our place this December. It's also one Master SSG's sixth birthday. Thanks to the fact that the party is 100000% outsourced, we have had little to do but concentrate on the fun things like assembling the lolly bags and thank you gifts. 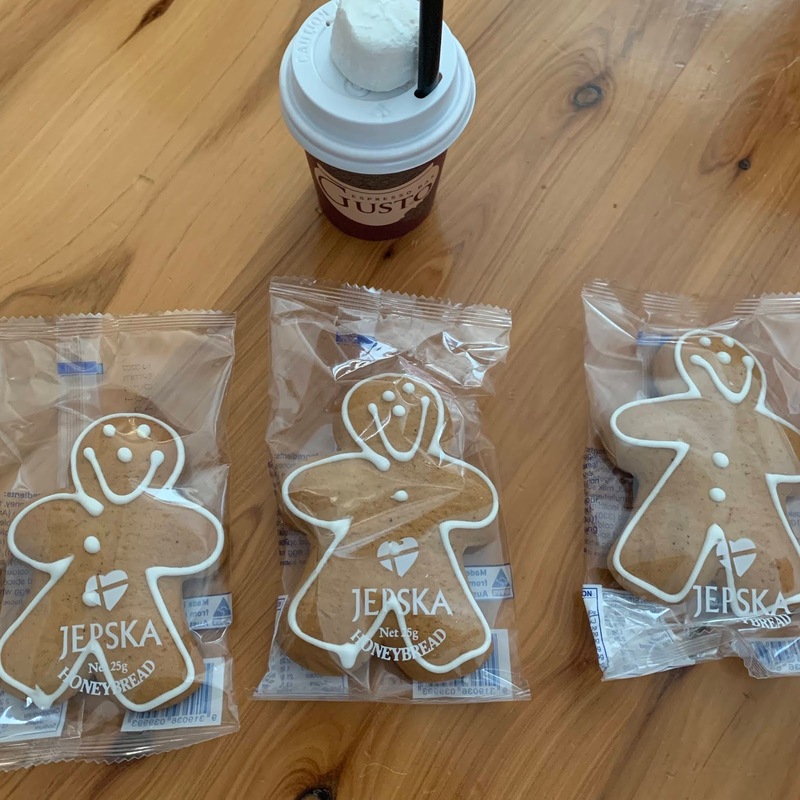 This photo of a babycino and three honey bread men from my favourite local cafe hasn't got much to do with gifting but it does celebrate some of my other favourite things about this time of the year. I like that it's sunny enough after I go for my run that I can pop down the road for a coffee and a babycino for Master SSG before he wakes up and gets ready for school. Mornings are always beautiful to me but springsummer ones are my absolute favourites. 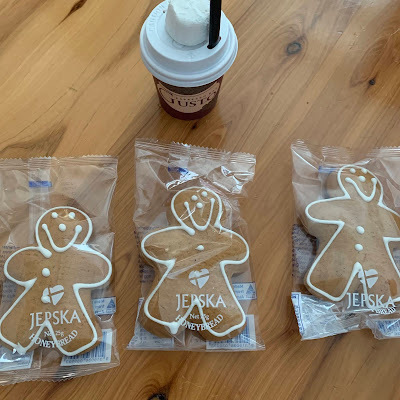 The honey bread men are after school snacks for Master SSG and two of his best buddies at school. Tuesdays are one of the days of the week that I get to be there for school pick up and I often get there early on purpose to enjoy a few minutes in the shady quiet before the classes get dismissed and the chaos commences. In other coffee related news, I tried something new for a body scrub. These Coffee Bars are around $5 each at Chemist Warehouse. They smell delicious and the fragrance has been diffusing through my bathroon since I opened the plastic packaging. 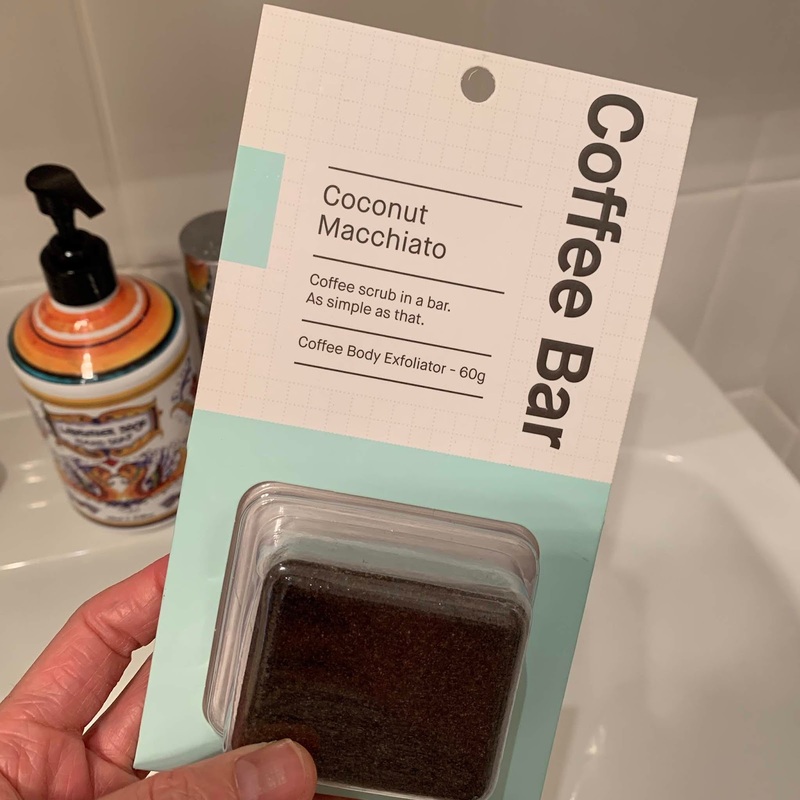 I'm not 100% sure that they are better for the environment than the plastic laden body scrubs I was using previously but there's definitely less residue washing into the plug hole than with the non coffee based scrubs I tend to favour. The bars are easy to use, just massage onto wet skin and there's no mess as the bar doesn't disintegrate easily after use. However, I did find this brand very harsh on my skin. The loose but messier coffee scrubs weren't as scratchy but still delivered smooth and soft skin after use. I did get those benefits after using this coffee bar but there was just a bit of pain involved beforehand. I'm glad I have given these bars a try because they are good value for $5. I estimate I'll get at least a month or two's use from this one bar. But I will probably interchange these with the loose granuled coffee scrubs. 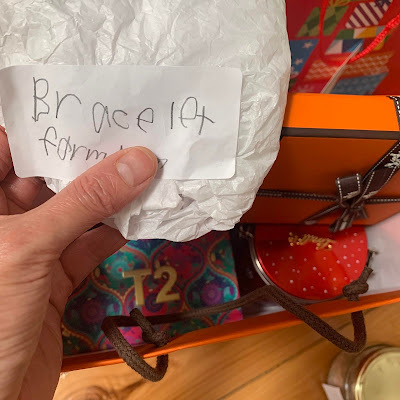 How's your Christmas gifting going? Any exciting craft taking place on your spare table? Coffee scrubs. Which have you tried?